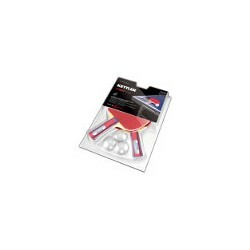 The Kettler outdoor table tennis table Axos 1 is a good beginner model of Kettler. Its weatherproof 22 mm ALU-TEC+ composite board is made of high-quality aluminum and wood. The playing features and ball bounce are suitable for beginner level. Due to the fold-up side parts, single training is possible and it can be space-efficiently stored. The fixed wheels are suitable for transport on grass as well as pavement. 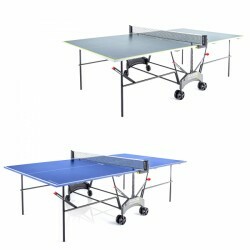 Kettler outdoor table tennis table Axos 1 add to comparison list.